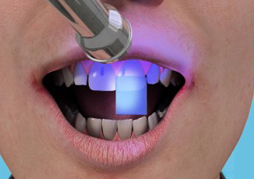 can be used to repair broken or chipped teeth. 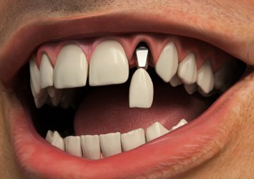 They are as thin as a fingernail and fit over the visible surface of the tooth. Two visits are required; on the first visit a small amount of the tooth is removed, and an impression is taken which is then sent to a laboratory. A technician at the laboratory will make the veneer. The veneer will be bonded to the tooth at the next visit.